Utilizing data for Advocacy, End of Year Reporting, Directors Surveys and Making Effective Departmental Decisions is essential. Our Data Consultation Services specialize in creating custom Data Visualizations and Reports to serve your needs. ​For over a decade we have been managing assessment and research operations in counseling centers, and Dr. Soffer is a past Advisory Board Member for the Center for Collegiate Mental Health, a large internationally recognized practice-research network. We provide a range of consultation services from initial setup guidance to ongoing, comprehensive data management. Take a look through our samples below and contact us for more information. 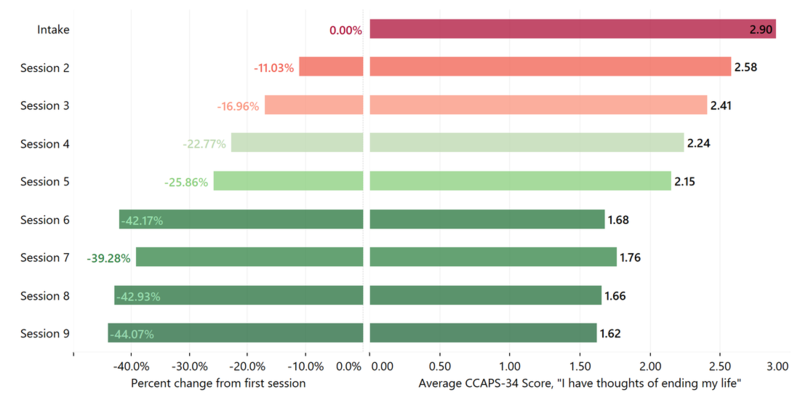 This graph demonstrates decreases in Depression, Academic Distress and Generalized Anxiety on the CCAPS-34 over nine sessions for clients in a counseling center who began sessions above a high-cut point score. The center Director used these visualizations to advocate for the impact of their services. 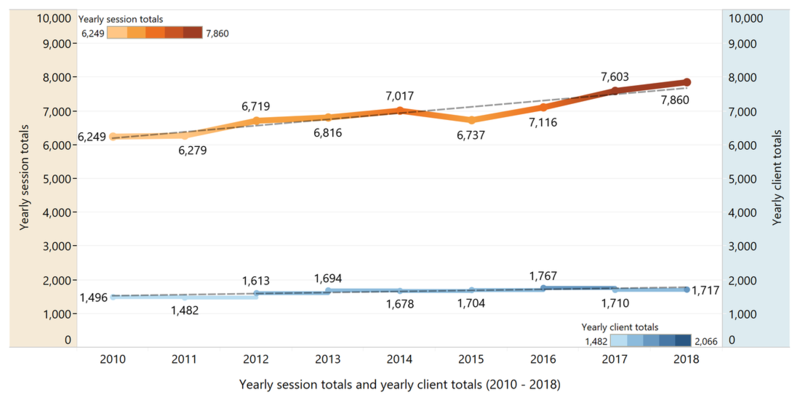 This graph shows raw score and percent change (reductions) in suicidal ideation over counseling sessions. It was used in a Board of Directors Meeting to successfully advocate for a crisis counselor. 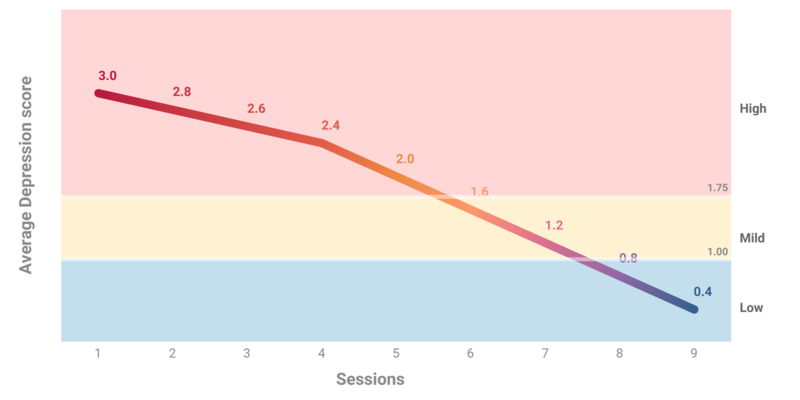 The below graph highlights the interaction between GPA, Anxiety and counseling. It helped a Center Director highlight the role mental health counseling plays in retention. 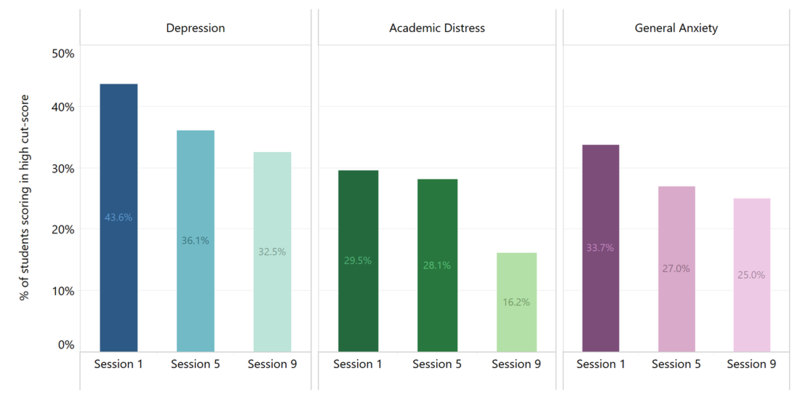 This shows the interaction between Academic Probation and Academic Distress over time in Counseling. 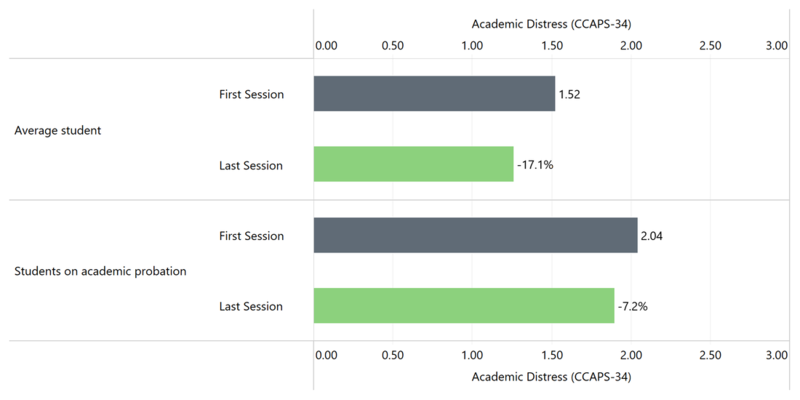 This visualization helped a Center Director raise awareness among Administrators for the role Counseling plays in retention. Let us know how we can help you use your data more effectively.